Working from home doesn’t just mean sitting behind a computer screen or calling people from your phone anymore. Now, you can even get paid to use your phone. 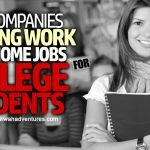 Earn side money or get a legit job that allows you to use your smartphone! These types of jobs are perfect for those who aren’t into sitting at a desk to work every day. Or, perhaps you don’t own a computer at all because you use your phone in place of one. Sure, there are plenty of iPhone and Android apps that pay you money. But, not all of them will earn you as much as the ones I’m going to show you. Some are even real jobs that let you use your phone! Let’s get to it. 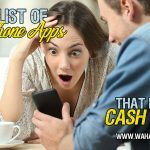 Some of these are apps that help you earn money with your phone, and others are jobs that allow you to work using your phone. Either way, you can’t beat getting paid with mobile phone apps! 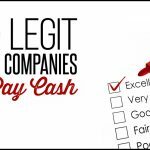 We all know by now that you can make extra money with InboxDollars, an incredible Get Paid To (GPT) site that pays you for just about any task you do online. The website is full of fun money-making things to do, like playing games, listening to the radio, entering sweepstakes, and taking surveys. You can even get paid by InboxDollars to search the web or shop online! Or, participate in 100% free offers to make money. You can earn your first $30 quickly, which is the minimum amount required to cash out. But, did you know that InboxDollars also has an app for iOS and Android users? Currently, the iOS app is solely for taking InboxDollars surveys. But, it’s a convenient way to take InboxDollars surveys with you wherever you go and make a little extra money! The Android app offers almost everything the website does: cash and free offers, paid games and TV, surveys, paid web searches, and more. If your phone runs Android 4.0 or later, you can use the app. InboxDollars is open to residents of the United States 18 years or older. Users getting their first payout from InboxDollars will only be able to get a check in the mail. For subsequent payments, you can choose from a check, prepaid VISA, or a gift card to one of several retailers and restaurants. Join InboxDollars here or read the review. Swagbucks as just as great a rewards site as InboxDollars, offering ways for you to earn excellent prizes, gift cards, and even PayPal cash. The reward site also has mobile apps for those who want to bring Swagbucks with them wherever they go. Currently, some apps are only available for Android users, while others are available for both Android and iOS. Swagbucks Mobile is just like bringing the Swagbucks website with you. With this app, you can earn cash back from shopping, taking surveys, searching the web, watching videos, and more. Then there’s Swagbucks Watch, which earns you Swagbucks for watching TV, movies, videos, trailers, and other media clips. Swagbucks Answer focuses only on Swagbucks surveys, so it’s perfect if you focus on taking surveys on Swagbucks. Finally, use Swagbucks Local to earn money when you shop locally or eat at local restaurants. This innovative app lets you check into your local retailers and earn Swagbucks when you do. Currently, Swagbucks Local is available in over 2,000 cities across the United States. You must be at least 13 years old and a resident of the US, UK, Ireland, Germany, Australia, India, and Canada to sign up for Swagbucks, but the apps may not be available in all areas. Join SwagBucks here or read the review. There aren’t a lot of games that you can play on your smartphone that’ll give you money just to use them, but Swag IQ will! This game is a live trivia game that connects with Swagbucks. If you already have a Swagbucks account, then just sign in using your same credentials and the app will connect to your account. There’s a new game to play every day, and you’ll get notifications on your smartphone when one’s about to happen so you can get ready. Each game is ten questions, but they’re pretty challenging questions! Give your answer (they’re usually multiple choice). If you get it right, you move onto the next question and have a chance to win part of the jackpot. If you get it wrong, you’ll have the option of using some of your SBs from Swagbucks to continue for another chance. Get the next question right and you’ll keep moving on, but if you get it wrong, you’re out of the game. If you make it all the way to the end, you’ll share the SB jackpot with the other winners! Those SBs go right to your Swagbucks account for you to redeem there. I’ve played several games where winners have walked out with hundreds or thousands of SBs, so if you’re really good at trivia, this is the game for you! Toluna is a popular website for taking surveys online for cash. It also has a fun app for both Android and iPhone that lets you take surveys on the go. On the app, you can vote in polls, filter the content by category that you want to participate in, enter contests and sweepstakes, and of course, take fun Toluna surveys. You earn points when you take surveys or interact with the app. Once you reach 30,000, you can redeem your points for a variety of prizes, gift cards, or cash. Toluna is open worldwide to members at least 16 years old, or as required by their country. Join Toluna here or read the review. If Toluna isn’t working out for you as a survey site, don’t worry. VOIQ hires work at home agents as call center representatives for its various clients. You can choose the brands you want to work with and campaigns to complete. Best of all, your hours are flexible – work when you can and want to! Although most companies require that you make calls from a landline phone, VOIQ allows its representatives to use their mobile phones. In fact, VOIQ even has an app for Android and iOS in which you can keep track of your campaigns, required information, and more. You’ll get paid $0.30 per minute of talk time, so your hourly rate will vary depending on how many calls you make. But, it’s a good deal for being able to work using your mobile phone! You must be at least 21 years old to get started with VOIQ. You can become a work at home search engine evaluator for Leapforce. This position requires you to evaluate blocks of search results based on specific search queries. Leapforce looks for people who can evaluate search results both on a computer and on their mobile devices. Specifically, prospective evaluators must either have an Android device running version 4.1 or higher, a Windows phone version 8.1 or higher, or an iPhone 4s or more recent model. The process will be similar when evaluating search results using your mobile device as it is the website. You must sign up using a computer, and you’ll need to pass a series of tests before you can become a part of the team. Only those 18 or older can apply, and you’ll be an independent contractor rather than an employee. Join Leapforce here or read the review. his app is available for iOS and Android. You can find gigs in your neighborhood by browsing the app. Others can post anything from quick deliveries to house or car repairs, to local business mystery shops. Gigs tend to range between $3 and $100, and you can choose which ones you want to do. Those in bigger cities tend to have more available than smaller areas, but you can still check what’s available. Once the poster of the gig approves it, you’ll automatically receive your funds through PayPal. Mentored is a tutoring website and app that focuses on tutoring students through innovative methods, like web chats, video conferences, and whiteboards. You’ll need to either have a college degree or be a current college student to become a tutor. Mentored also requires a screening and training process for its tutors. You can set your status to “active” whenever you’re able to work, and the system will match you with students. Through the app, you can personalize your profile and choose your subject areas for students to find you more easily. They can also rate their experience with you, which can help you grow your business. The Mentored app is available for iOS. 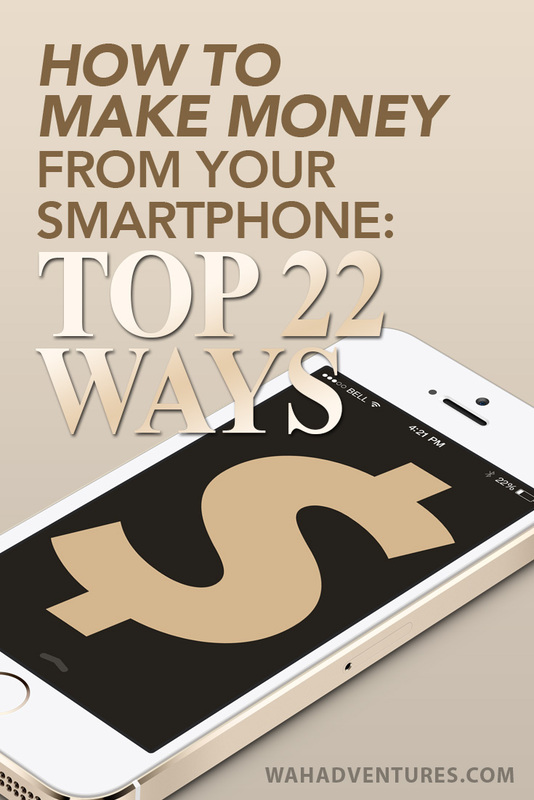 Maritz Research provides an interesting way to make money using your smartphone. The company looks for Market Research Interviewers, a part-time position that requires you to make phone calls with consumers to help Maritz Research clients create better products and services. Although it says that landlines are the preferred type of phone for calls, it’s not a requirement. You can use your cell phone if needed. But, make sure your connection is stable at your home or office and that you can hear clearly. Pay starts at the minimum hourly wage for your state, with pay increases available for attendance and excellent performance. Currently, Maritz Research only hires agents in the United States. Call Center QA hires independent contractors for its telephone mystery shopping positions. You must be a United States resident to apply and at least 18 years old. Telephone mystery shoppers can make calls using a landline or their cell phone. You’ll pose as a customer to call businesses and ask questions to help Call Center QA’s clients conduct research. You can work as often as you’d like, and all calls will pay $5. They only take between 5 to 10 minutes and the follow-up survey is brief. You’ll get paid within seven business days. Everything you love about Fiverr is also on its mobile app for iOS and Android. On Fiverr, you can post gigs for just about anything: gathering e-mail addresses, building websites, designing logos, etc. Through the handy app, you can create gigs, check on them, respond to messages from other users, and more. Depending on the type of gigs you have, you may even be able to complete your gigs using your phone! Fiverr can pay you conveniently to your PayPal account once your gigs are complete. Once a gig is marked as complete, you can withdraw your funds in 14 days. You can also do this through the handy app. MathElf doesn’t technically require a smartphone, but it does require a mobile device: an iPad running iOS 10 or later, to be exact. So, you can still work while mobile! This site focuses on tutoring students in math, and you can create your own flexible schedule. As a tutor, you must either have a bachelor’s degree or have completed several math courses for your current bachelor’s degree. Tutors can be from any country and there are no age restrictions. You’ll use the iPad to connect with students through video. MathElf pays tutors via PayPal weekly. Another great way to earn money using your mobile device for tutoring is with Palfish. Palfish is an app available for both iOS and Android that helps English language learners speak to those who are experts in the language. You can sign up as a tutor on the website, download the Palfish app, and get started speaking to English language learners. Work as often or as little as you’d like. You can even set your rates to talk to students, up to about $45 per hour, so you can make decent money with this app! However, it might be wise to set a low rate when you first start so you can gain some experience and get some good reviews under your belt. Once you get more familiar with using Palfish, you can work your way up to a rate you’re comfortable with. iSoftStone is mostly known for its Ad Evaluator position rating ads across the web and on social media. It also has a popular Search Engine Evaluator position. But, it also sometimes has openings for crowd workers. This position is for independent contractors interested in completing data entry and collection tasks. The tasks will vary greatly, depending on the company’s clients. The position does require you to have an Android 4.0 or higher to work, since you’ll need to provide short voice recordings and texts via a mobile app. You must be a U.S. resident and at least 18 years old to apply. You can check for open positions on the iSoftStone site, or keep an eye on Indeed, where the company sometimes posts its job leads. If you want a highly flexible job to do on your mobile phone, try out Clickworker. You can sign up on the website and use the mobile app to work. Clickworker is perfect for freelancers who want to make money doing small tasks when they’re available. You’ll do anything from categorizing images to taking surveys to editing blog posts and articles. If variety is your thing, this is a good place to find it. Although Clickworker doesn’t have an actual app, its mobile site is very responsive. So, many of your tasks can be completed on the go just by visiting the website on your smartphone. 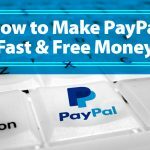 Clickworker pays weekly and monthly via PayPal. Mobee is an excellent app for making some money doing things you’d do anyway. The app is available on Android and iOS devices. All you need to do is open the app, find locations near you that are participating in Mobee, and view the details. It could be a store, a restaurant, or another business. Mobee will let you know what you need to do at that location to get paid. You may need to purchase a specific product, take a photo of a display, or try out a new meal on the menu at a local restaurant. Most “missions” will require you to visit a specific place and take a survey once you get there. Most surveys are about 5 to 10 questions long. Your mission will get manually approved within 24 hours if you completed the steps. You earn points for each mission, which you can redeem for prizes or cash. Both Upwork and Fiverr are platforms where freelancers can find people who need their services. Fiverr is more for small gigs that can start as low as $5. This is best for quicker stuff, like designing a small graphic or completing a few minutes of research. On Fiverr, you’re also able to add other packages that increase in value for bigger projects. Upwork is a little different in that you’ll respond to jobs posted on the site by clients. You still get to choose gigs based on your skills and the work you want to do, like translating or programming. But you’ll also be competing with other people who apply, as several freelancers can apply to each gig that they think is a good fit for them. I’ve used both platforms for freelance writing work, and they’ve helped me boost my business in between landing more long-term contracts. Since they both offer apps, you can search for clients or update your profile when you’re on-the-go. You’ll still probably need a computer to work from, but the apps are extremely helpful for responding to clients, managing payments, getting support from the platforms, and doing other stuff related to your freelancing work. If you’re using WordPress to blog, then you might as well take your blog on the go with the WordPress app. And if you’re not using WordPress yet, or don’t have a blog, then it’s a great time to start one! Blogging is one of the most popular ways to make money using the internet, and it’s really no secret why. A blog is not only a great way to share your opinions on anything under the sun that interests you, but it’s also an excellent way to connect with others with similar interests, your fave brands, and more. And, yes, you can get paid to do it. Through placing ads on your site, creating sponsored posts, and using affiliate marketing to promote products you love, you can earn money with every single blog post you write. What I love about the WordPress app is that it lets you create a blog post from start to finish, all just while using your smartphone. So if you don’t always have access to a computer or laptop and want to continue creating consistent content that your audience loves, the app can help you do that so that you can keep making blog-related money. Grocery shopping kind of feels like work, doesn’t it? In fact, I think I’d usually rather go to work than step inside a grocery store. There’s something about grocery shopping that just seems so tedious and time-consuming, but it still needs to get done. One app that makes it more manageable for me is Ibotta, which I’ve used now for a couple of years. Before I venture to the store, I check Ibotta to see if any of its current deals match up with products I need to buy (they always do!). Then, I just click the rebates I want to add to my account, go to the store, make those purchases, and finish my trip. When I get home, I scan my receipt using Ibotta. The app automatically looks for anything I bought that matches my rebates and then gives me that cash I earned in my account! The best part is that there are several bonuses you can get depending on the stuff you buy, and you can even make more when you work in teams with your friends and family. You only need $20 in your account to redeem the cash via PayPal, which I can usually do every 1 or 2 weeks. It’s a super simple way to make money off something you do anyway (and it makes grocery shopping just a bit less painful every week!). You can also make money from your smartphone without doing a bit of work at all besides downloading new apps. 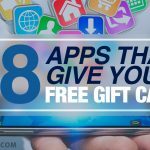 There are a few apps that’ll pay you to try other apps, like AppLike and AppNana. These types of apps work with partners who pay those apps to advertise their apps. Yes, it sounds a little confusing, but it makes sense. The partnered app company basically gets more users for its app by doing this because the paying app pays its users money as an incentive to download and test out the apps. Basically, the app gets paid by an advertising company and then pays you some of those earnings to try something new – a new game you might love, for instance! 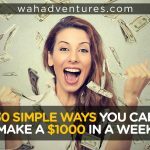 It’s simple, fun, and a good way to earn money in your spare time. You might notice that a bunch of delivery apps are popping up in app stores. They definitely seem to be gaining popularity, probably because they offer delivery drivers a lot of flexibility to work when they want to. And, since you can typically find customers, manage payments, and tweak your schedule all from your phone, the apps make everything super convenient. Using an app like UberEats, you can become a delivery driver to take food from restaurants to the customers who order them. A lot of restaurants are now using these services instead of directly hiring delivery drivers because it’s cheaper for them to do so and allows their food to get to customers quickly and conveniently. UberEats offers a flexible schedule and quick payments, but so do other services like Doordash, Grubhub, Postmates, etc. Instacart is a service and app that can help you get set up with your own personal shopping and delivery business! The app lets you sign up as a shopper to shop for groceries for the people who order them through the app. You’ll take on the task, complete the shopping trip, and then deliver the items to your customers. You’ll choose the times and days you work, so you can even sign on to work around your regular work schedule or on your days off. If you work during peak periods, though, you could end up with more money! Instacart also offers part-time work for people who just want to do the shopping bit without delivering groceries. You’ll work in the store fulfilling orders for customers to pick up, so it doesn’t require you to have a vehicle. You can learn more about becoming an Instacart shopper here. It’s amazing – there really is an app for everything! These are just a few of the ways your phone can make you money. As our world shifts from landline phones and snail mail to mobile devices and e-mail, expect to see more and more companies shift to allowing workers to use their phones. After all, we know it’s more than possible to be productive using smartphones! Do you ever work using your smartphone? What other jobs do you know of that allow the use of smartphones to make money? Let us know in a comment! Thanks for showing us where we can make money from! You know I’m passing this along! Have a great week! Thank you for the list. I’m on my iphone like 80% of the day. I’m hoping one of these or a couple of them work out for me. I downloaded Mobee, Field Agent and Easy Shift to start. Not many jobs near me. But hopefully that changes! Thank you for creating this extensive list. I love using Fiverr. You can easily turn those $5 gigs into a real business earning $1,000+/month.